Designed to enhance cabin occupant safety and facilitate more efficient and safer load and storage capacity. Constructed and finished to be durable and hardwearing for long-life use. Manufactured using a steel tube outer frame. 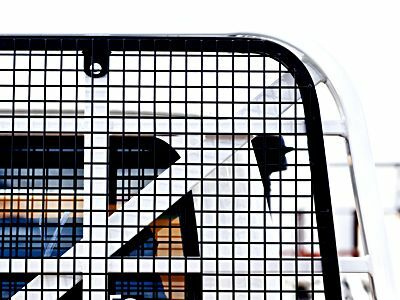 The mesh layer utilises 25mm fully galvanised steel. Standard automotive powder-coated black finish.